Collects hair. 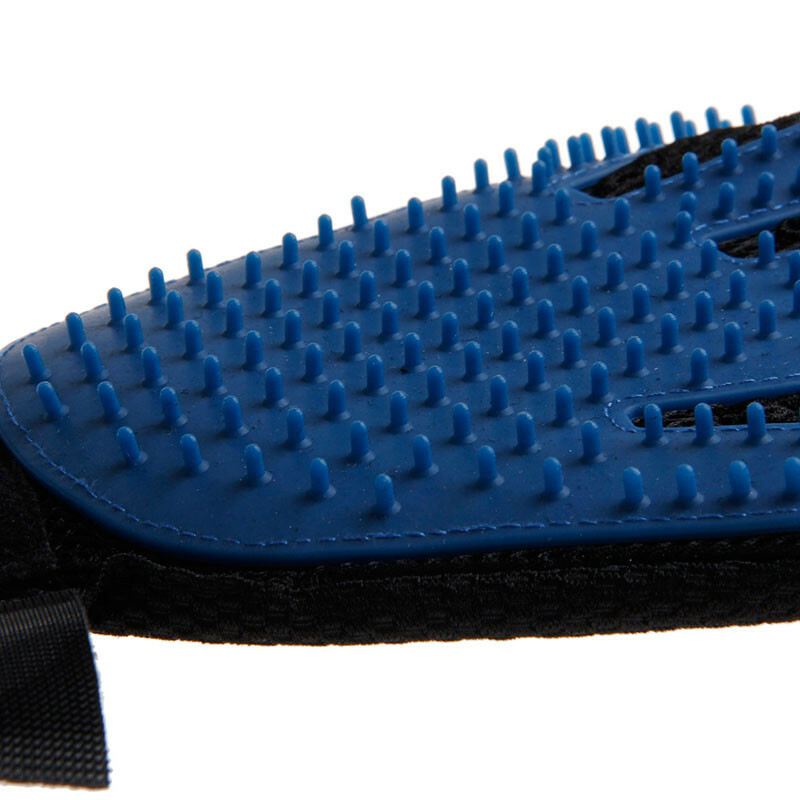 Dramatically reduces shedding with soft rubber tips that gently pull loose hair. Collects large amounts of fur fast and easy. Stimulates circulation to distribute natural oils. Fosters a healthy, shiny top coat. 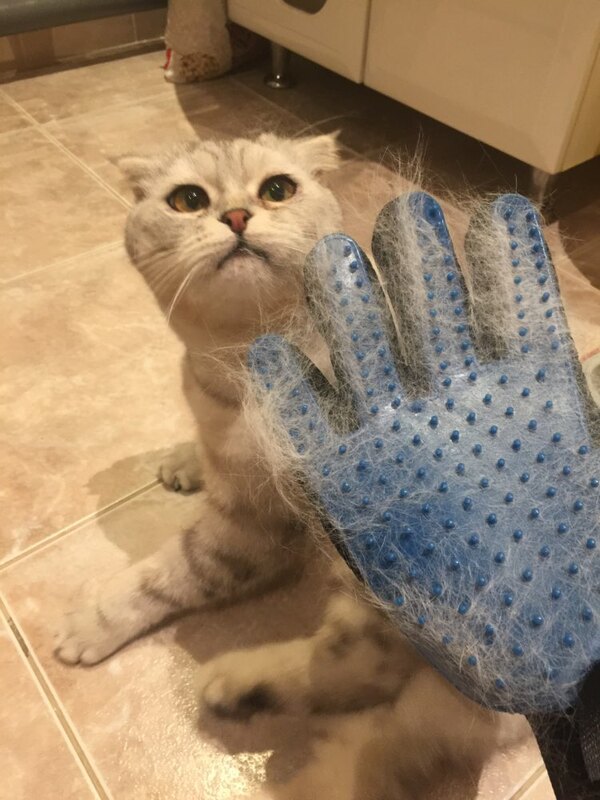 Reaches deep into fur to detangle and lift away dirt and debris. Keeps your best pal free of fleas and mites and reduces shedding by brushing them regularly. Eco-friendly way to keep your couch and clothes free of hair. Helps promote bonding-feels like a massage and promotes a love of grooming. Easy to clean. Washable and dries in the sun. 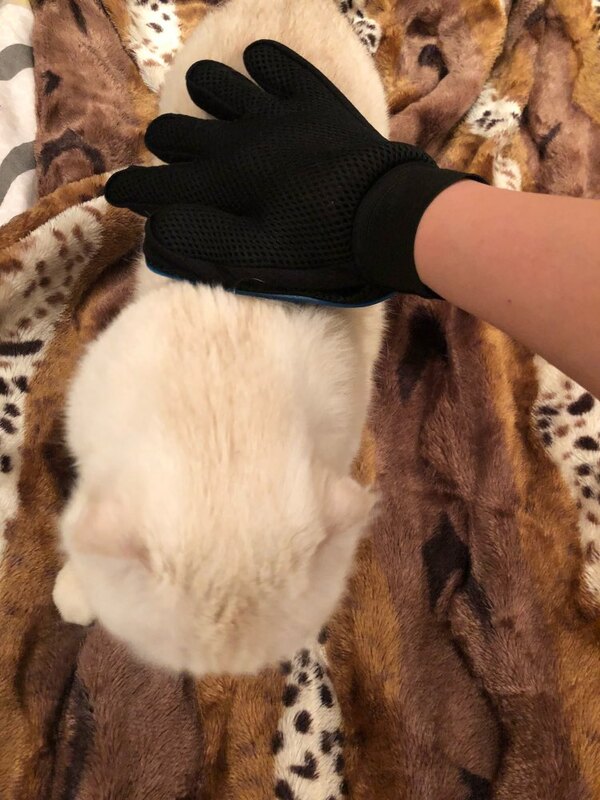 Durable mesh with comfortable padding makes this glove durable and pleasant to use with an effortless clean up and removal of fur from mitt. Fits hands of all sizes. 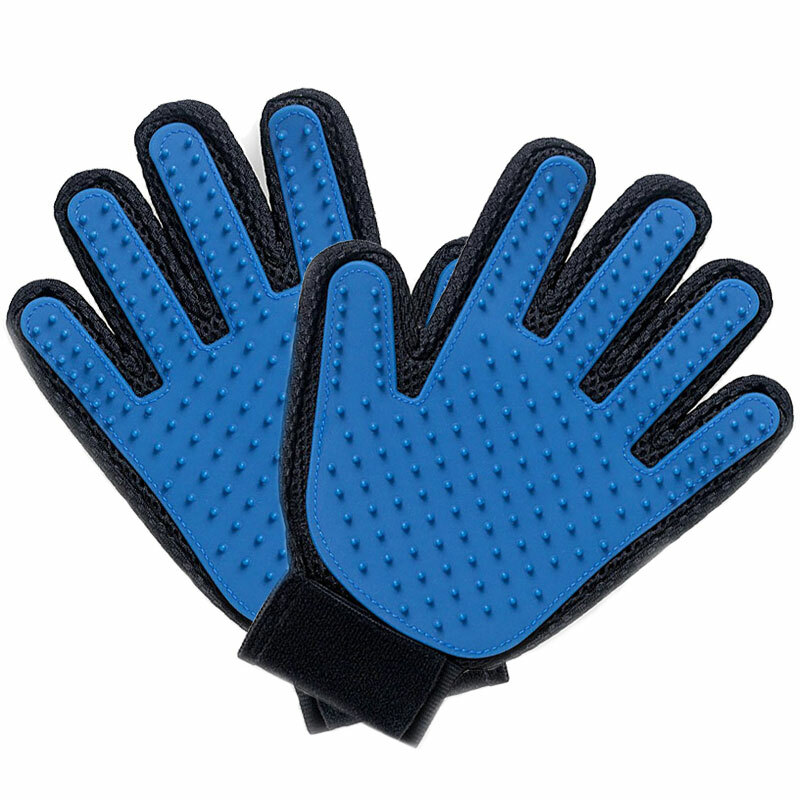 Adjustable Velcro strap makes it easy to adjust this glove for the perfect fit on all hand sizes. Easy to put on and take off. 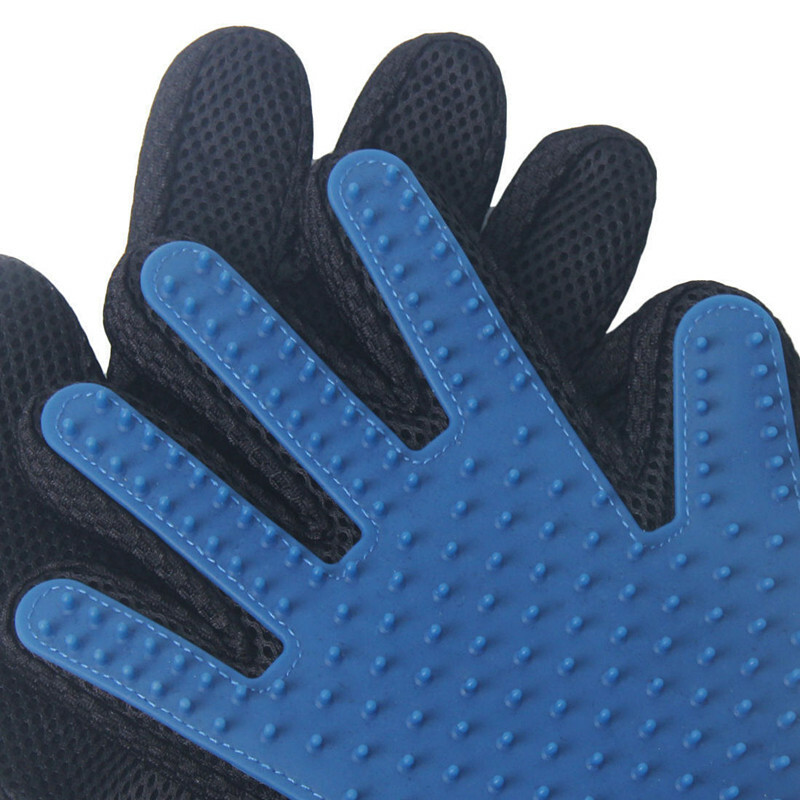 Easy to grip. Versatile. Works for a wide range of animals. Perfect for all coat types and works on pets of any size. 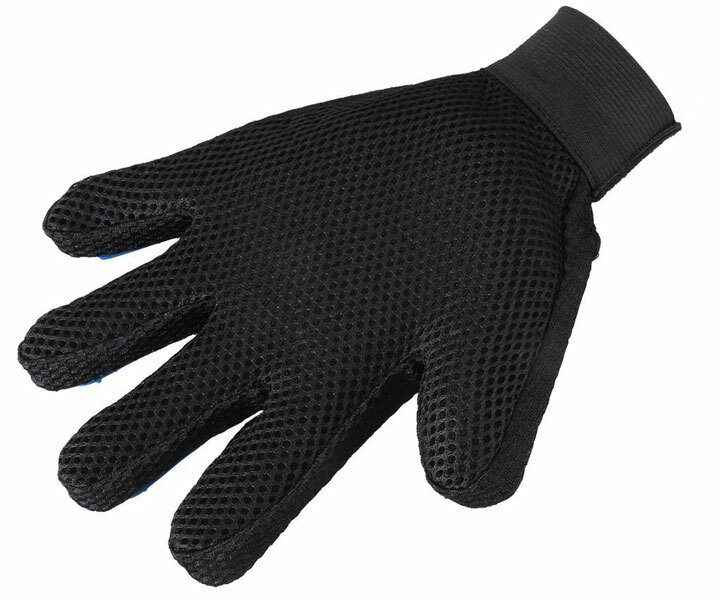 Made to be used in either wet or dry conditions.